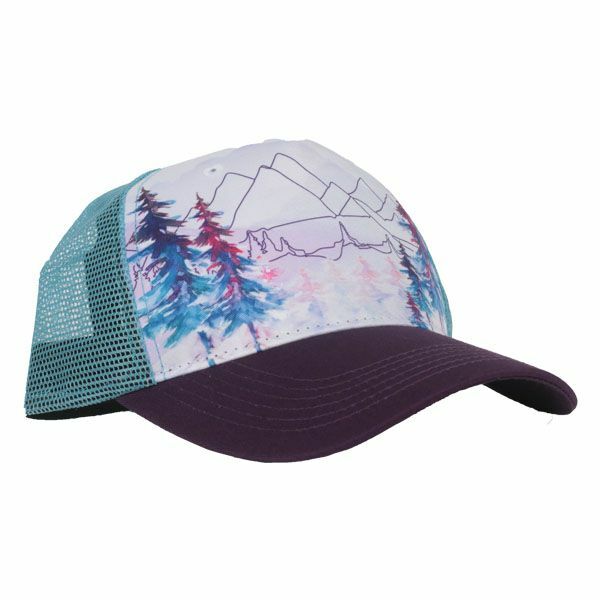 The Explorer Trucker Cap from our friends at Cirque Mountain has you covered! From the new outdoor series, the Explorer has a minimalist mountain outline and a pretty purple, pink, blue, and turquoise color palette which evokes memories of beautiful west coast summer sunsets. Trucker hats lend themselves well to outdoor activities, and this one is no exception, providing a wide bill in the front to shade your face from the sun and an airy mesh in the back for ventilation as you work up a sweat. Smartly, the underside of the bill is a dark purple which helps to cut down on the glare on sunny days. The soft interior band is comfortable and helps to absorb sweat, while an adjustable band in the back ensures a snug fit so that you won’t loose it when that next gust of wind hits. Make sure to grab this lid on your next TrailblazerGirl adventure!